So Tim Tebow is signing with the Philadelphia Eagles. Tim is one of those players that causes a lot of controversy in America. And the controversy isn’t because of bad behavior off the field like so many other football players. He hasn’t beat his child or his girlfriend. Hasn’t been arrested for anything. No drunken bar brawls. This little fact has set football fans against each other. Non-Christian football fans seem fed up with Tebow’s holiness (the clean-cut, wholesome, praying on the field young man). Many Christian football fans seem bent on declaring the Lord’s favor upon Tebow’s football career BECAUSE Tim is a Christian. I’m not a Tebow hater. I think he’s an incredible guy. I like who he is as a human. His Christian behavior and attitude seems authentic and not just a façade. But I don’t think he’s blessed as a football player because of his faith. I don’t think God really has a vested interest in football. So Christians: keep in mind, an athlete’s success probably has very little to do with the hand of God. 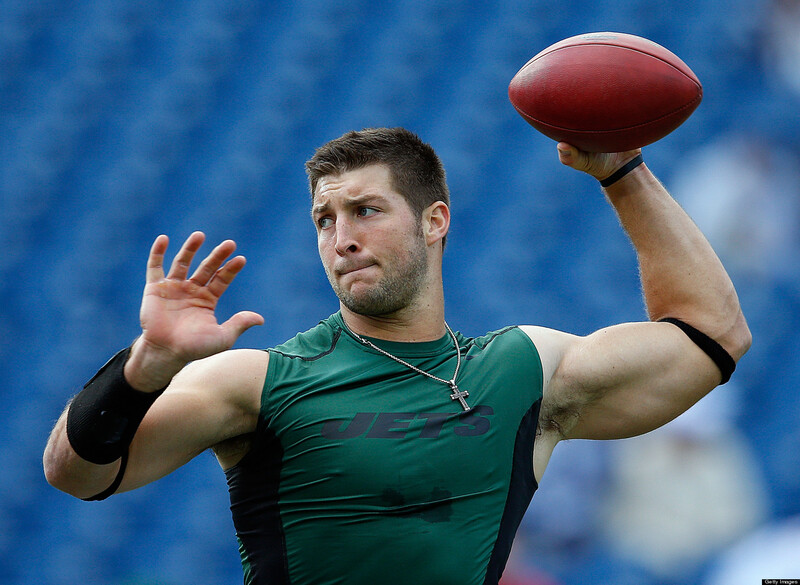 Non-Christians: give Tebow a break. He’s the kind of guy that would thank God for anything, on or off the field. It’s just who is as a person of faith. This is the way we should all be living – no matter what our job is. We can be football players, school teachers, plumbers, or anything else. Live life for Jesus, giving thanks to God. Will people scoff at us? Probably. Non-believers don’t get it. That’s okay – do it anyway. If you have a sense of humor, you can see a funny sketch from Saturday Night Live about Tebow and Jesus here. If you don’t have a sense of humor about religious things, just avoid the sketch. Previous PostPrevious Dear Christian, Can You Be More Bigoted Please? Next PostNext Earth Day: A Liberal Hoax?